Well, I’m back from a holiday in the UK where I was using a netbook for image storage and occasional internet access. I don’t usually shoot panoramas as a matter of course but there are times that just cry out. 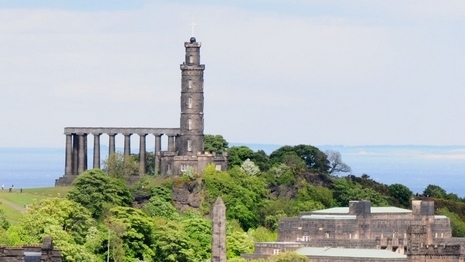 One of those is the sweeping view from Edinburgh Castle on a sunny day. I didn’t have a tripod or monopod with me, just my D300 with the kit Nikkor 18-105mm lens. So, I just twisted from my hips to the left and started shooting making sure I had some overlap in each frame. When I got back, I just pulled the 12 straight from the camera jpegs into a subdirectory and opened MS-ICE which is a free download you can find on the net at the MS research site. this is a 200 KB image resized from a 12MB original MS-ICE stitched Pano. Just to show you the kind of detail it’s capable of, here is a small cropped section of the skyline about three quarters of the way across from the left. The tower is about the highest thing you can see on the horizon. and here is a resized version that shows the only easily seen discontinuity in the stitching. It’s the crane approximately one quarter of the way from the left. This is a straight 11:9 crop and shows the jaggies that you get from not using a level tripod to create the original images. You can also see the curved border as the images are stretched and converted for stitching. Leave a little space when you shoot and you can crop these out easily. You can see that it’s not perfect and would need some touching up with your favorite post processing package but, for ease of use and a total cost of free, it’s a fantastic fun program. 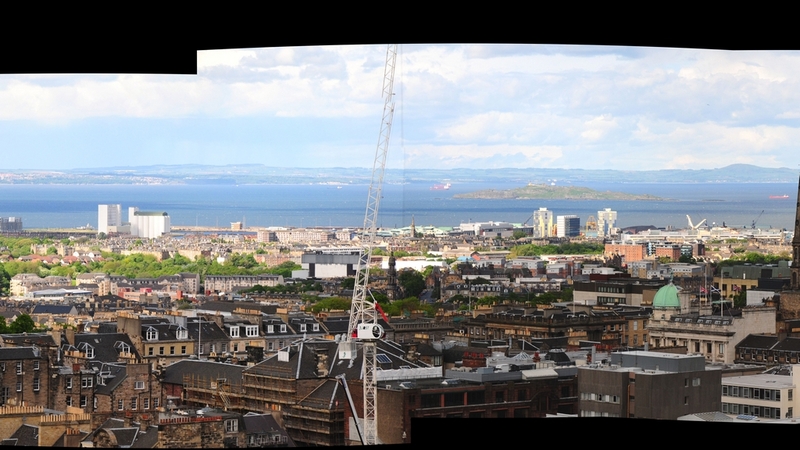 This entry was posted in Camera primers, Image Software, Scenic and tagged edinburgh, panorama, panorama edinburgh scotland UK, Photography, scotland, UK. Bookmark the permalink.